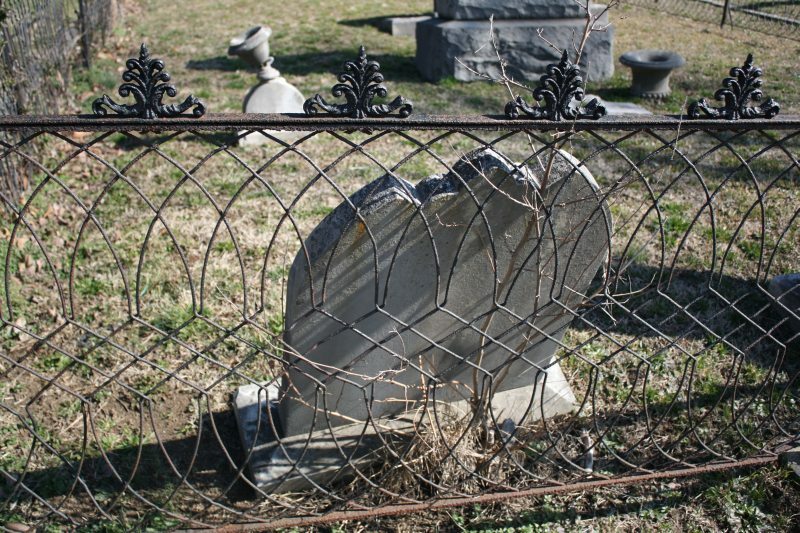 Harriet “Hattie” and Sarah Ficklen’s twin tombstone rests within an ironwork fence in Green Hill Cemetery along with other Ficklen family members. 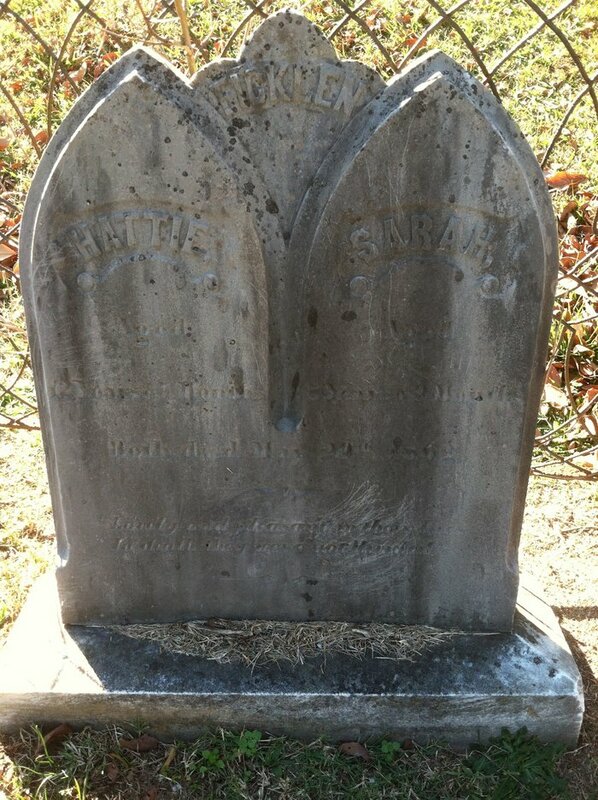 This was one of the first stones that piqued my interest in this graveyard, due to the fact that according to the inscription both sisters died on May 29, 1862. Hattie was 12 years old & Sarah 8, so it was impossible that they were two stillborn babies. There was a story here: either there was some horrible accident that claimed the Ficklen girls or they were the victims of an illness who happened to perish within 24 hours of each other. Unfortunately records are few and far between for the years during which the girls lived. According to A Genealogical History of the Ficklin Family John Fielding, from Fredericksburg, VA, and Sarah Anne Slaughter of Culpepper County were first cousins who married in 1847. Around 1860 they moved to Danville to a homestead that went by the name of Oaklawn.1 If I am reading descriptions of Oaklawn correctly I believe the Ficklen home was not very far from where I currently live. That house is no longer there, however. It has long since been replaced with more modern homes and apartment dwellings. When the 1860 census was taken Hattie was 11 and Sarah 6. Also in the home were their parents John & Sarah A.; brothers James (12), Warren (9), John (4 months); and a domestic named either Sarah or Susan Adams (21). The youngest brother, Harry Campbell Ficklen, was born in 1862 and the youngest girl, Catherine, in 1865. 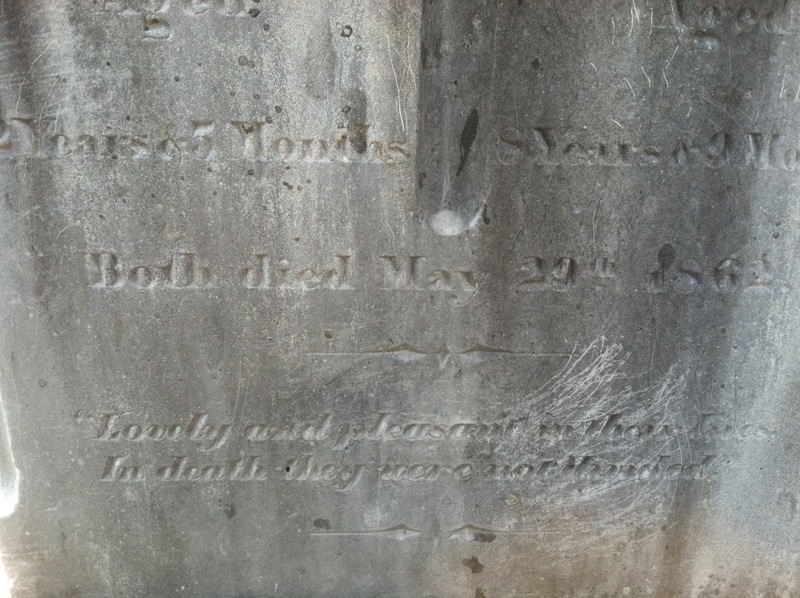 How these sisters died remains a mystery and the verse on their marker remains true: in death they remain undivided. Things like this always make ne wonder. More than likely it was disease. So sad, but at least in some way they both have company. This is a nice post — even though it's sad that they both died at the same time, it's sweet that they are together. I wonder if perhaps it was something like flu or an illness? That kind of thing happened to a lot of families, where one person would get sick and pass it to the other family members.